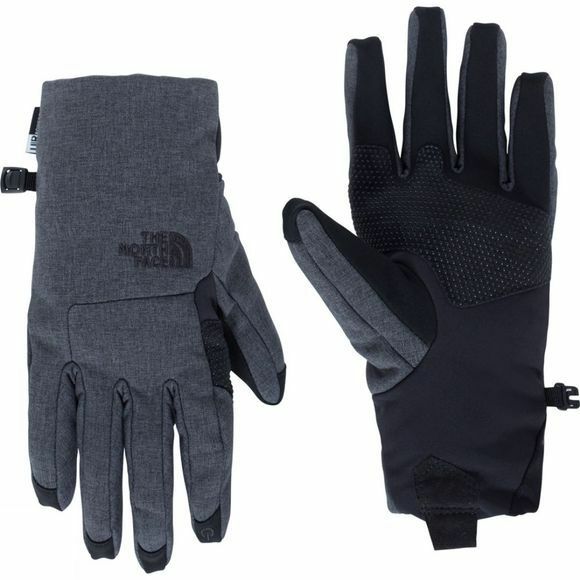 The Apex+ Etip Glove is an extremely versatile outdoors glove. Made using soft shell fabric, it allows the hands to position into a relaxed fit. U|R Powered TNF Apex ClimateBlock soft shell technology on the palm optimises touchscreen use.